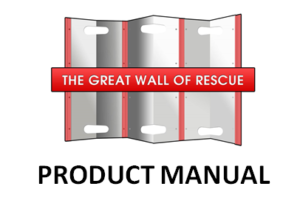 The Great Wall of Rescue was designed to adapt to a multitude of grain entrapment rescue scenarios. 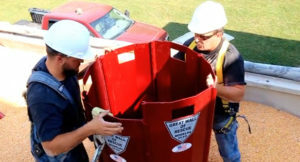 The lightweight wall sections are easily maneuvered and can be aligned to form a wall, a tube, or other irregular shapes depending on the rescue situation and the number of panels available. Anodized ball-and-socket joints ensure smooth panel connection, and the joint was specially designed to have some range of movement, adding to the variability in shape. We provide accessories to aid in rescue. Platforms are provided for a sturdy base for rescuers. 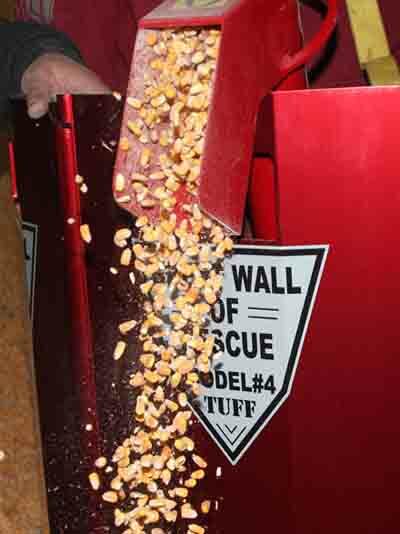 The insertion step allows a rescuer to use his own body weight to push sections into grain, as opposed to hammering. The step also can be used to assist victims in climbing out of the grain as they are able. The removal pipe can be used as a support handle for the victim, or to remove the panels after rescue is completed.